The toughest and best tattoo competition in Texas! Bring your A- Game! Past years winners include: "Rember, David Vega, Zack Singer, Matt Curzon, Quin Hernandez, Jason Call, Randy Englehard, Sarah Miller, Tye Harris, Danny G, Cory Salls, Mat Valles" and many more talented tattoo artists! Hand-made awards for every category! 1. Only one tattoo per category per day! (if you have a rose you can not enter that into small color and realistic, you must choose one category) If you have 2 roses on different parts of your body then you can pick which one goes in each category. 2. No 2 peat winners. If you won last year (1st-3rd) you may not enter that tattoo again this year. If you win Friday you can not enter again Saturday or Sunday. This rule is to prevent one tattoo from winning many awards. 3. Tattoo of the Day and best of show, basically can break the above rules. You can enter 2 categories and win in up to 2 categories since these are bonus categories. Ex you do a tiger you can enter it into wildlife, best of day and best of show. And possibly win all 3. 4. No sore losers, running a contest is not easy and the decisions are based on opinions. This is not like a race with a clear winner, sometimes we make tough calls. If you act like an idiot you will not be invited back. Police and security will be happy to show you out if there are any problems. 5. If you enter the competition and are not present at the time you are called up, then you will be eliminated with out a refund. Artists do not need to be present, the client who wins is responsible for getting the award to the right hands. 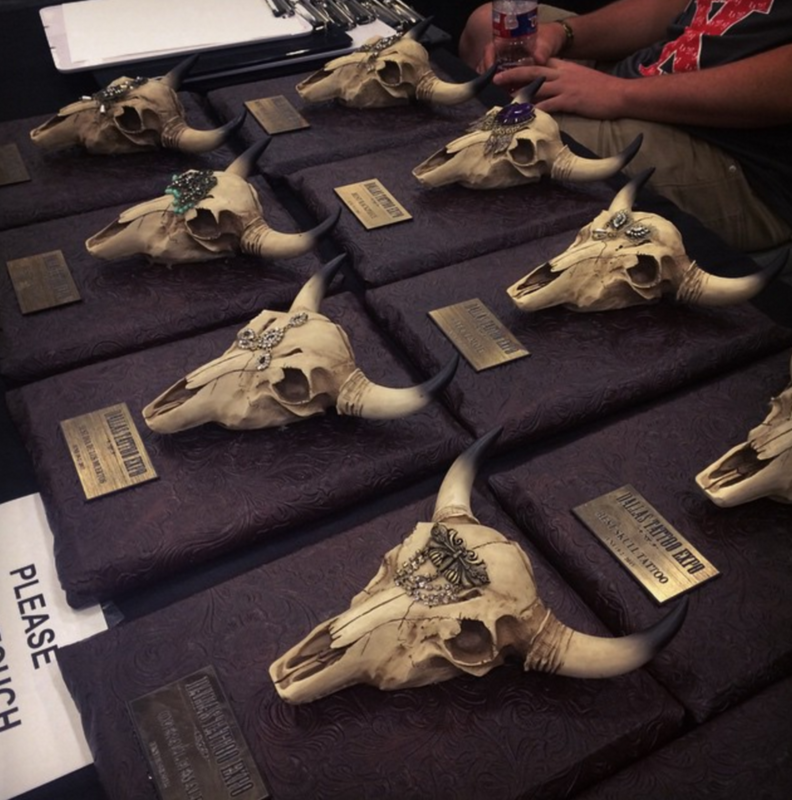 Best of Show : wins $1000 cash prize and magazine publication from Texas Inked Mag!